State and Federal Court Litigation, including Restraining Orders; CEQA and Land Use Law; Brown Act; Public Records Act; Contracts; Real Property Site Acquisition; Condemnation; Governance Issues; Conflicts of Interest; District Reorganization; Administrative Hearings. 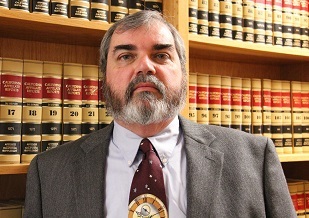 Mr. Zotter’s practice focuses on State and Federal Court Litigation, including Restraining Orders; CEQA and Land Use Law; Public Records Act; Brown Act; Contracts; Real Property Site Acquisition; Condemnation; Governance Issues; Conflicts of Interest; District Reorganization; and Administrative Hearings. He assists school districts, county offices of education, and community college districts. For fifteen years Mr. Zotter has been an Adjunct Faculty member with Mendocino College in Business Law and Real Estate Law. Mr. Zotter has over thirty years of experience in the practice of law and public law. Prior to joining SCLS, Mr. Zotter served as Deputy County Counsel/Chief Deputy County Counsel for Mendocino County for twenty one years.